When I was asked to review the Skinny Original Lambrini and Hey Blueberry Lambrini, I was a little dubious. 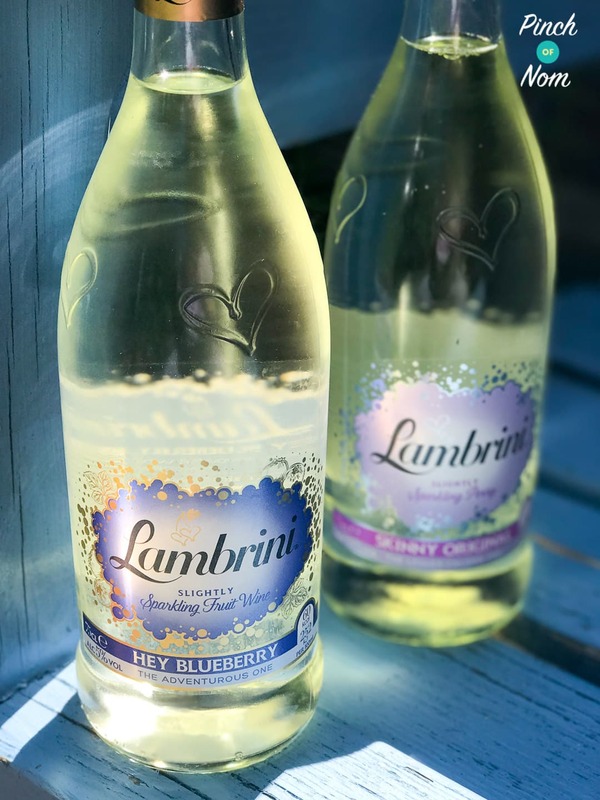 What do Skinny Original Lambrini and Hey Blueberry Lambrini taste like? 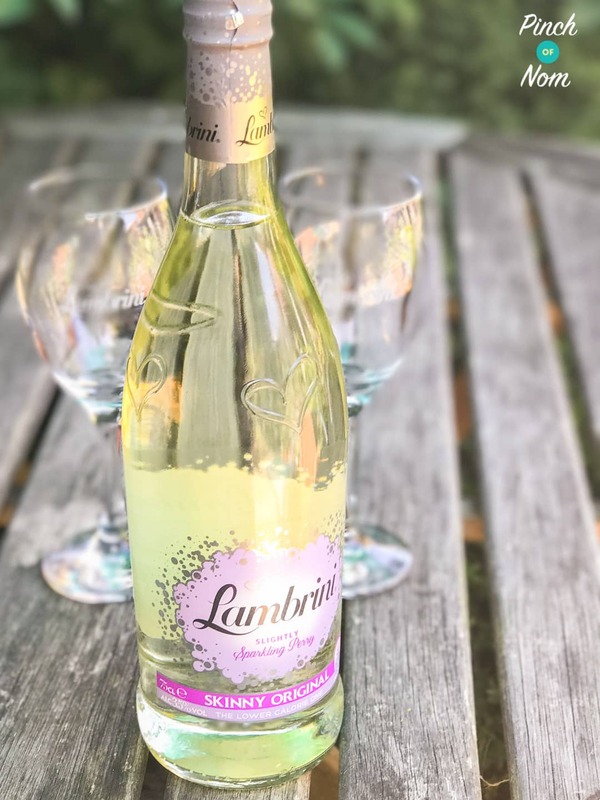 The first thing I didn’t realise about Skinny Original Lambrini is that is isn’t actually a wine, it’s a perry – so basically a pear cider. With that in mind, it tastes really good! It’s not as sweet as I remember it being, which is definitely a positive, and has a nice fizz. It certainly feels more sophisticated than drinking a pear cider. The Hey Blueberry Lambrini is a fruit wine, though there is very little about it that resembles wine. For my taste, it is a little overpowering and tastes more like an alcopop than a wine. The flavour does taste of blueberry though and isn’t artificial tasting, but it is quite sickly and very sweet. It has a good fizz though! I think the most important thing for both of these drinks is for them to be served really cold! 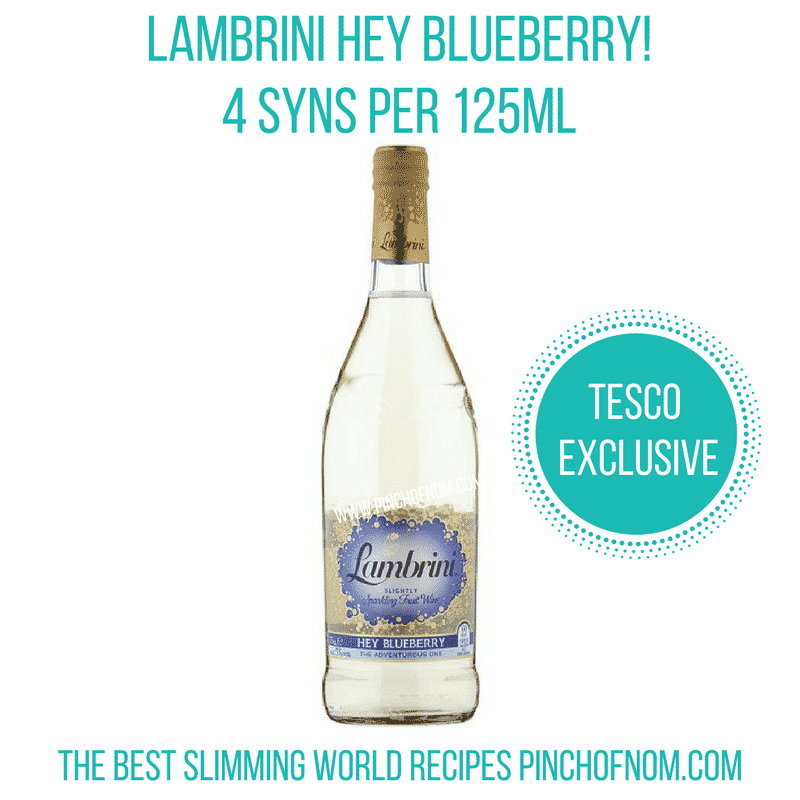 How many Syns are Skinny Original Lambrini and Hey Blueberry Lambrini? 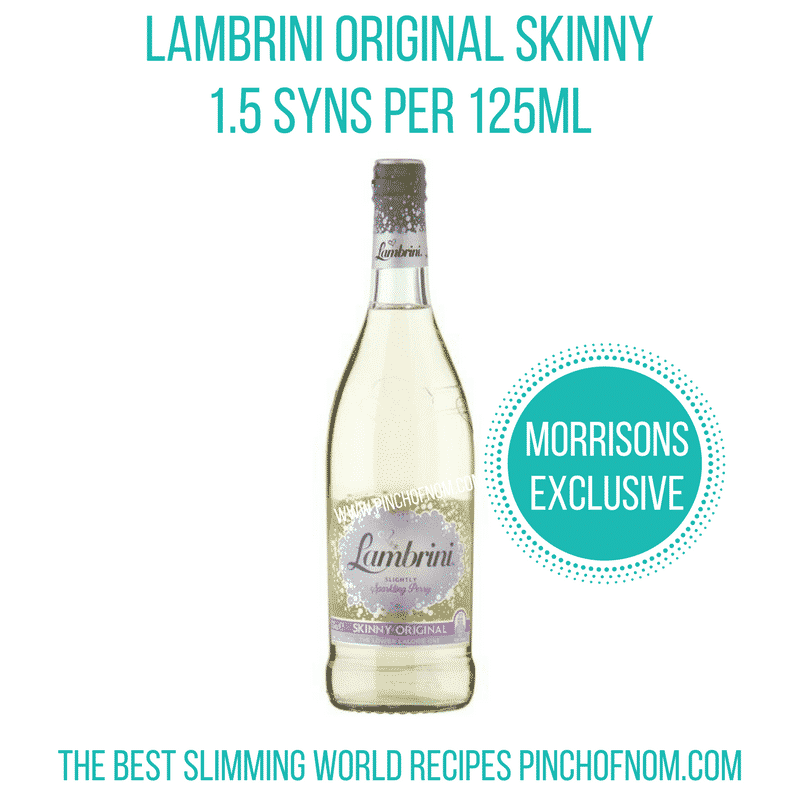 Skinny Original Lambrini is a low alcohol drink at 3.5% abv. There are only 29 kcal per 125ml so that equals 1.5 syns…which I think is AMAZING! Compared to other fruit based alcoholic drinks like cider, this is around half the syns! Hey Blueberry Lambrini has a higher alcohol content at 5% abv. There are 4 syns per 125ml which is about the same as other low alcohol wines. How much are Skinny Original Lambrini and Hey Blueberry Lambrini? Skinny Original Lambrini is currently on offer at £1.50 a bottle (bargain!!). It is normally £2. Hey Blueberry Lambrini is £3 a bottle. 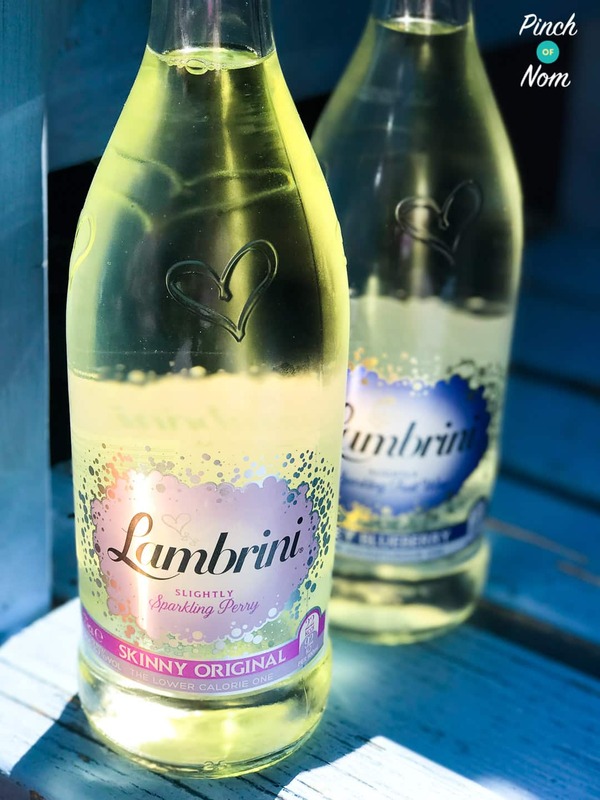 Where can I buy Skinny Original Lambrini and Hey Blueberry Lambrini? 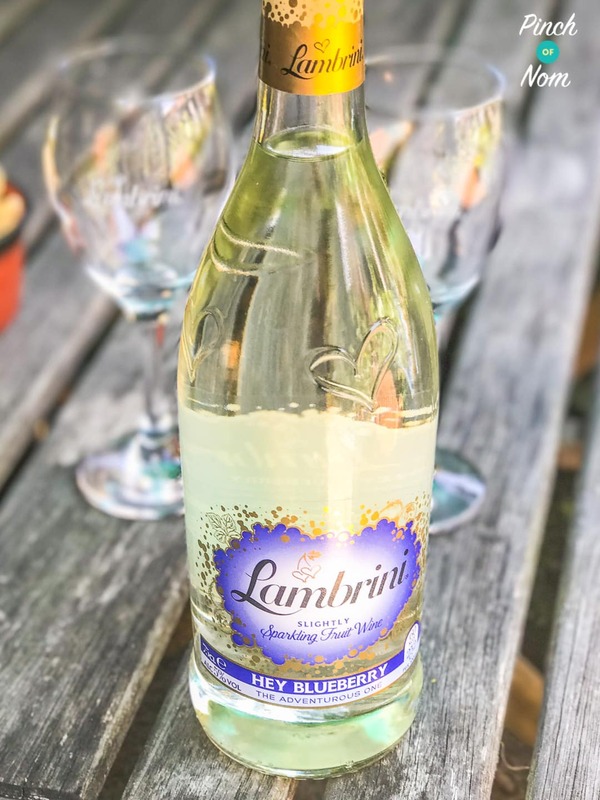 Hey Blueberry Lambrini is exclusive to Tesco and Skinny Original Lambrini is exclusive to Morrisons. Would I buy Skinny Original Lambrini and Hey Blueberry Lambrini again? 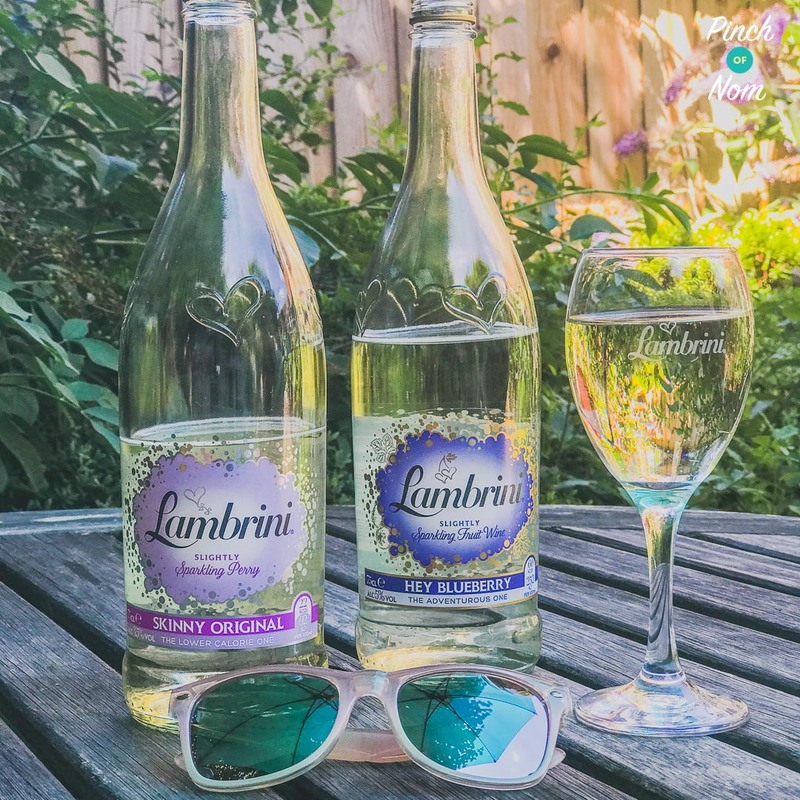 Skinny Original Lambrini was definitely a very surprising success, and not at all what I was expecting – as far as low syn booze goes, it’s definitely worth buying. Previously I’d have never considered it so this is high praise indeed! I’m not feeling quite so many warm and fuzzy feelings about the Hey Blueberry Lambrini. For me, it is just too sweet and the syns aren’t low enough to make it worth the compromise. 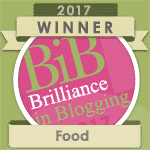 But that really is just about personal taste – it may be nicer mixed with some soda water to reduce the intensity of the flavour so could be worth experimenting! 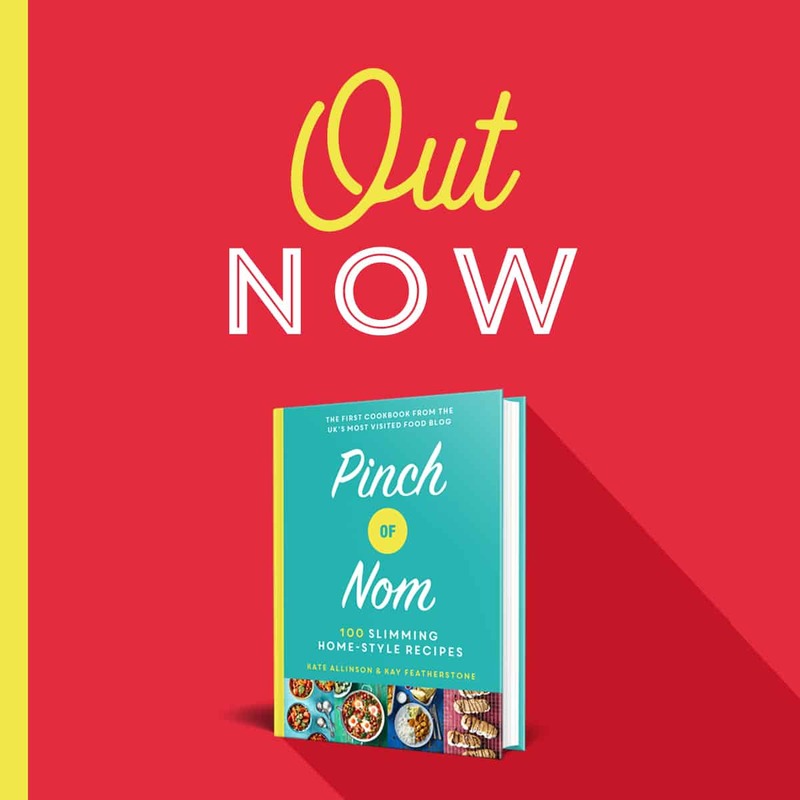 Everything we say on Pinch Of Nom comes from us, everything is written by us, and everything reflects our own personal opinions. We were not paid for this review. These are good, honest reviews. If we don’t like something, we’ll tell you so! Sometimes a brand will send us some freebies to review and if this happens we will always indicate it at the top of the post. We are not obligated to give positive reviews of any product. You can read more about how we disclose this here. Like this review? 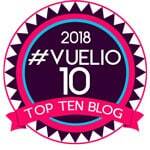 Check out our others!